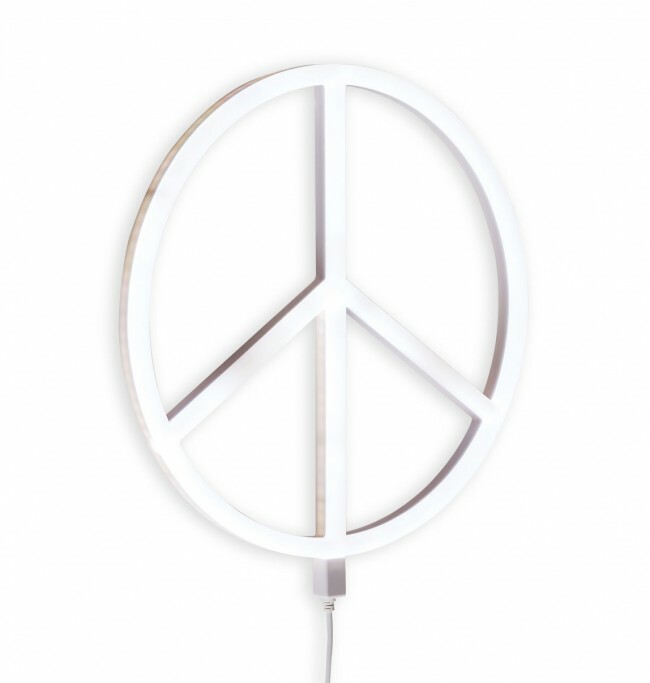 Peace, love and happiness! 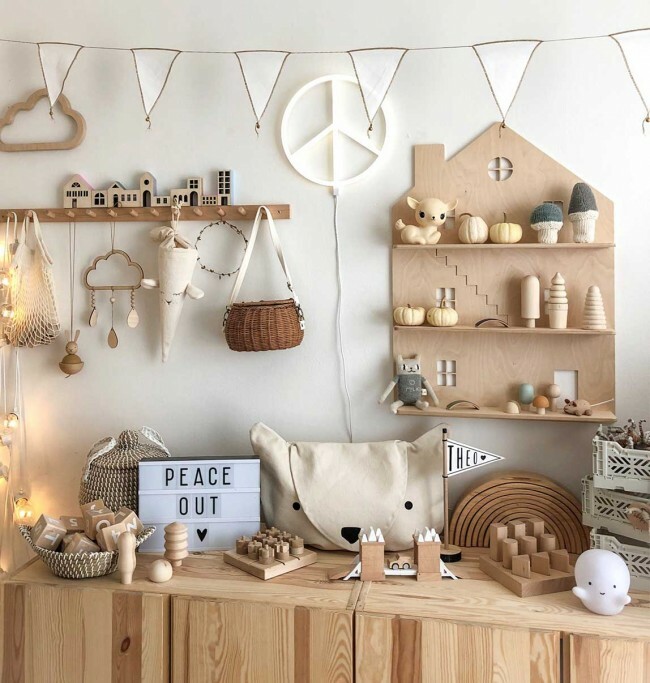 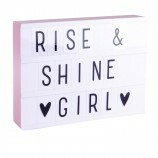 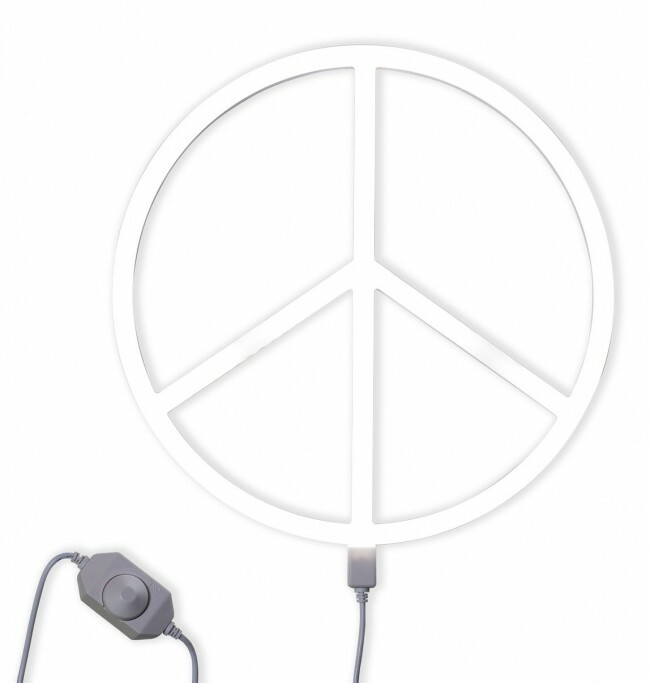 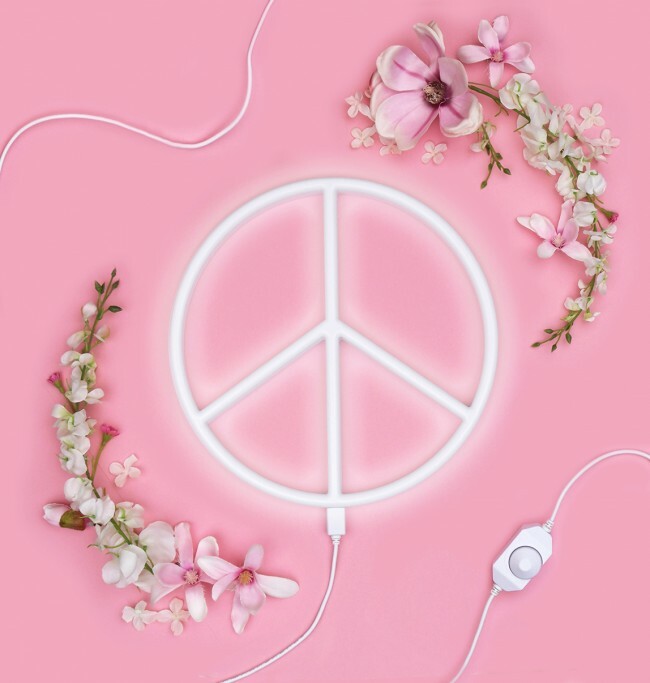 This white peace sign neon style light from A Little Lovely Company is a super trendy addition to the décor of your living room, bedroom or kids room. 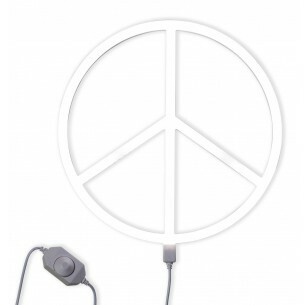 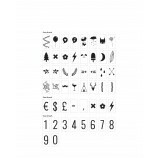 This white LED light is a durable neon light and includes a white adapter, a dimmer switch and mounting hook. 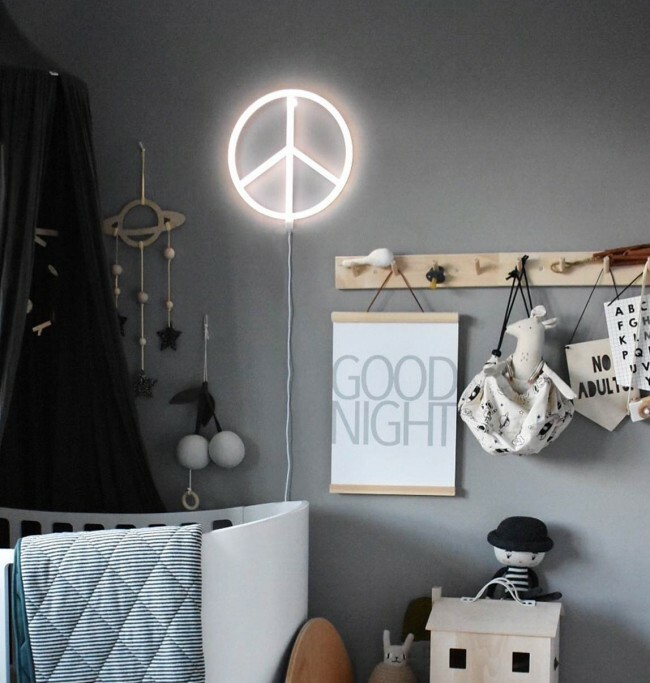 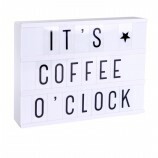 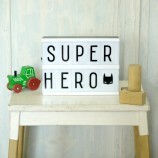 Place this neon light on the wall, plug it in with the included adapter and slide the dimmer switch up or down for your preferred brightness. 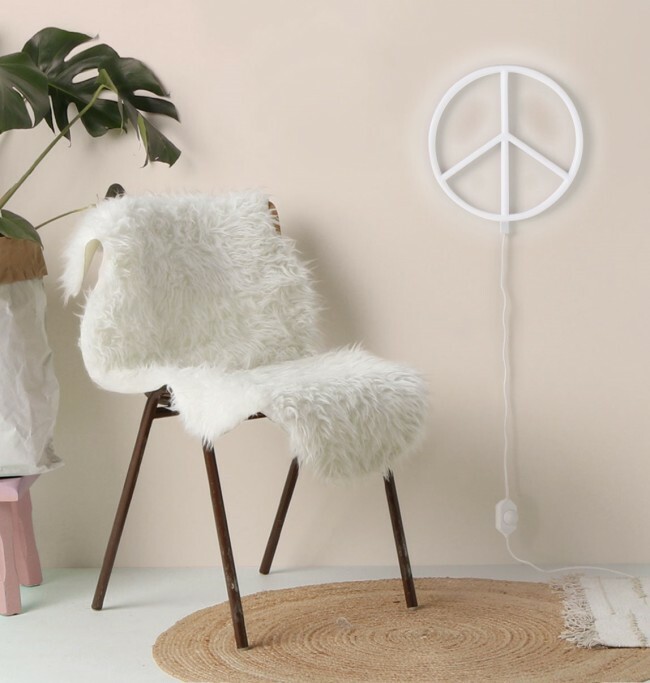 Whether you choose an intense neon light or a softer ambient light, this wall light creates a special atmosphere in any room.